"There's a future England captain in there. 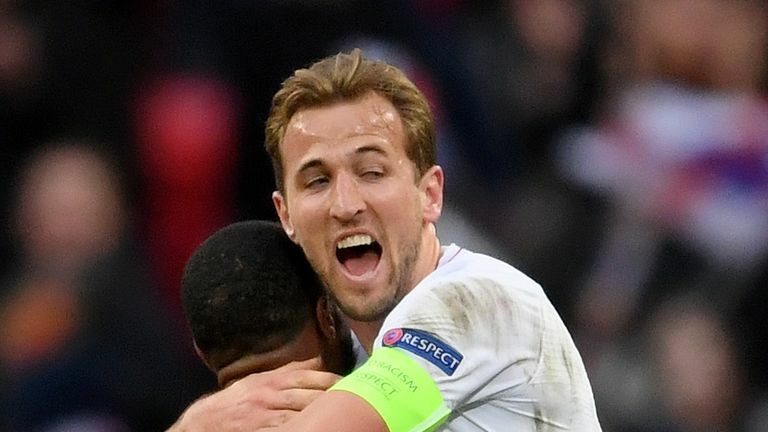 Not just on the pitch, off the pitch he's shown he has all the qualities needed to be a figure head for England for year's to come." 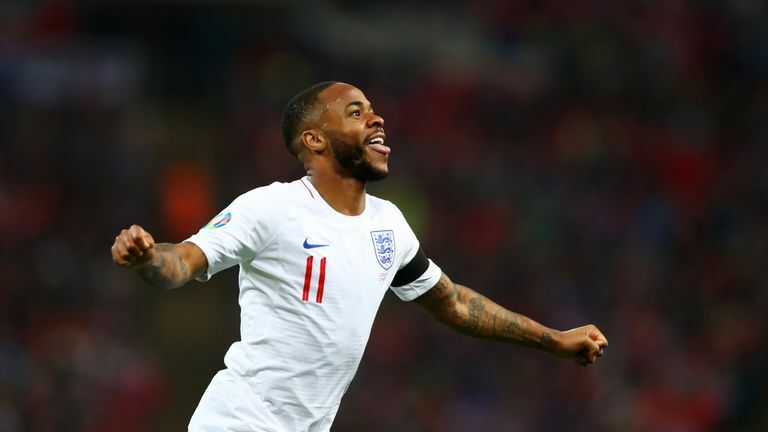 Raheem Sterling has all the qualities required to be a future England captain, according to Jonathan Liew, the chief sports writer of The Independent. 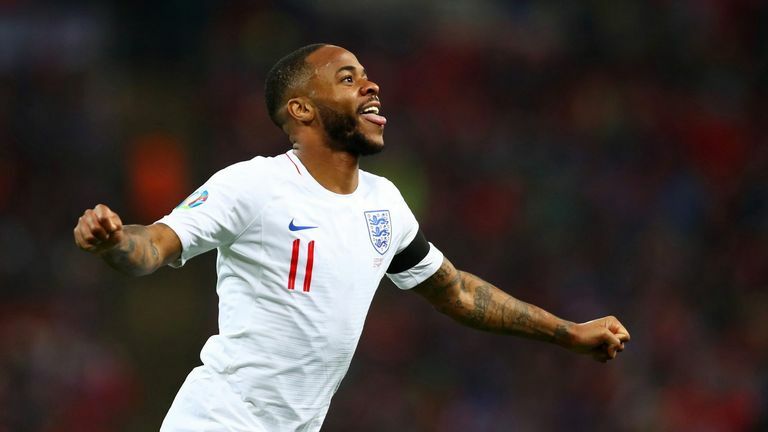 The Manchester City forward has endured some difficult moments during his England career to date but after scoring just twice in his 45 appearances for England, he has now netted five in his last three games, including a first hat-trick during Friday's 5-0 win over Czech Republic at Wembley. It is a turnaround that has seen his manager Gareth Southgate label him as a 'role model', while Jadon Sancho also revealed Sterling has been a big help to him and Callum Hudson-Odoi since they were called up to the England squad. Liew, speaking on Sunday Supplement, thinks the 24-year-old has shown all the attributes to lead England in the future. "It's been a real transformation," he said. "What the last six to 12 months in an England shirt have shown is the value of putting faith and confidence in a player, who has had to undergo quite severe and quite disgraceful flak at times. "It really puts into perspective how well he's done in the last couple of years, against everything that he's had to put up with from the media and fans, that he's managed to maintain this improvement year on year. "He's becoming decisive in games, he's getting into the six-yard box more, his finishing has improved and, off the pitch as well, the amount of leadership he's shown. You see guys like Sancho and Hudson-Odoi looking up to him. He has been helping me a lot, but it's not just him, everyone has made me and Callum comfortable and made us feel welcome. Sterling's hat-trick against Czech Republic took his goal tally to 24 for club and country for the season. His performances have seen him installed as one of Sky Bet's favourites to win the PFA Player of the Year award this season, and the chief sports writer of the Daily Mail, Martin Samuel - who described Sterling as England's best player - says he deserves to be in contention for the award. "If you had to pick an English footballer of the year it would be Sterling," he told Sunday Supplement. "The competition he's got [to win player of the year] from other players in the Premier League is from foreign players. "If you were saying he's the best English player then yes, he is. Is he the best player in the Premier League? You've got competition from Virgil van Dijk and there's even competition from within his own club with Sergio Aguero. There's also Sadio Mane. The way he is playing, his goals could push Liverpool over the line for the first time in the Premier League era. "So, he's got competition for footballer of the year but if we are talking about the best English footballer at the moment, it's Raheem Sterling." 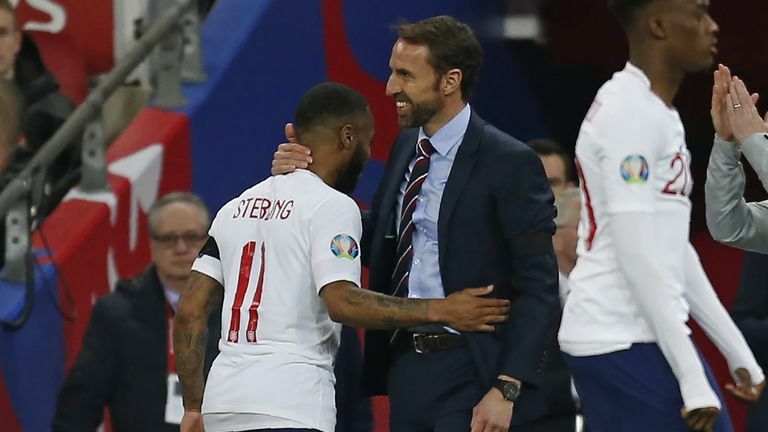 Led by the likes of Sterling, Steve Bates - the chief football writer of the Sunday People - thinks England's current crop are no longer burdened by the failures of the past, saying they can go on to win trophies under Southgate. "When you've got that kind of ability in the team and the kind of fearlessness that is always talked about when you speak about these young England players and how they play, the potential is always there for them to explode," he said. "The speed of England's play caught the Czech Republic out and the speed of their play will catch better teams than the Czech Republic out. That's why I'm genuinely excited going forward. "I know we've been here so many times before, but I genuinely believe England do now have a platform from which to go on and win something. "We always hark back to the golden generation of Steven Gerrard, Paul Scholes, David Beckham, Frank Lampard, John Terry and Rio Ferdinand, who didn't win anything and that was a great disappointment. But I do believe the current crop are no longer burdened by that. "We proved that in Russia and these lads can go on and win something."